If you are an American, chances are you have started receiving tax forms and reports from various companies. Recently, many companies, banks, brokerages, mortgage companies, and charities have started providing tax reports and forms electronically. Ironically, you may get a notice in the mail from these entities telling you that you will get your tax documents electronically. Exactly which forms you need to file your income taxes depends upon your individual tax situation. People who own their own business have more tax forms they need. Likewise, people with more deductions, or various financial vehicles such as trusts require additional documents as well. If you have any financial accounts or situations that are not “standard” you’ll need to check with an accountant or tax professional to find out what is required for you to file you taxes. If you, or you and your spouse, are not self employed, then you will need a W2 Form from your employer to file your taxes. The W2 form lists several numbers including your total wages for the year, as well as various contributions to things such as 401k plans, or cafeteria accounts, or pre-tax insurance payments. If you worked for more than one employer, you will need a W2 Form from each employer you worked for during 2014. Your employer is required to send your W2 Form to you no later than January 31st. If you own your own business, or if you work for someone as an independent contractor, you’ll require some additional forms for your income. The most common form is a 1099-MISC Form. If you are a contractor, you’re employer will include your taxes on line #7 Nonemployee Compensation. Then, you’ll be on the hook for self-employment taxes, but you can deduct various expenses as well. If you a freelancer or otherwise self-employed in the business of providing services to another party, you will require a Form 1099-MISC from everyone who paid you more than $600 during 2014. Also, writers and other artists require a 1099 from everyone who paid you more than $10 in royalties (Line #2) during 2014. This kind of income will also generate self-employment taxes. Be sure to deduct any equipment or business purchases. The Section 179 deduction limits for 2014 are higher than they will be for 2015. If you own a business as part of a partnership or as an S-Corporation, income and revenue will be reported on a Schedule K-1 form. For taxpayers with investing income, or interest income, there are forms required for those as well. The Form 1099-DIV is used to report dividend income and interest income. Form 1099-S is usually used to report income from sales of stock. You will also receive forms for any withdrawals from qualified retirement accounts such as an IRA, or 401k account on a Form 1099-R. 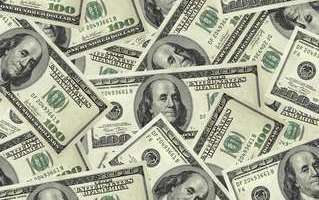 Some states issue state income tax refunds. Since you typically deduct the amount of your state income taxes on your federal income taxes, the IRS requires you to put the amount of any refund back into your income. You’ll get this tax reporting document as a Form 1099-G Government Payments. Do be sure to NOT add the state refund back into any calculation for your state income taxes. You may also get a 1099-G if you received unemployment insurance during 2014. If you get Social Security income, you’ll need Form 1099-SSA. While many tax deductions require document such as a receipts, other, typically larger, tax deductions also require reporting from the company that handles the transactions giving you the deductions. If you plan to deduct mortgage interest on your taxes, your mortgage company will send you a Form 1098 with the amount of interest you paid for your mortgage during 2014. This form will also list your property taxes paid for deducting, if you pay them through your mortgage company. If you have a second mortgage, you will get a different 1098 from each company. Student loan interest will also be reported by your loan servicer. For deducing your student loan interest, you will get a 1098-E from each company that you have a loan with. Box 1 shows the amount of interest received by the lender. There is an income phase-out for this deduction, so make sure to do the calculation and plan accordingly. If you have deductible payments for current educational expenses, you will receive a Form 1098-T. If you contribute to a Health Savings Account, you’ll get a Form 5498-SA. Taxpayers DO receive forms reporting their IRA contributions, however, these forms are NOT always sent by the April 15 filing deadline. You can deduct your contribution anyway. 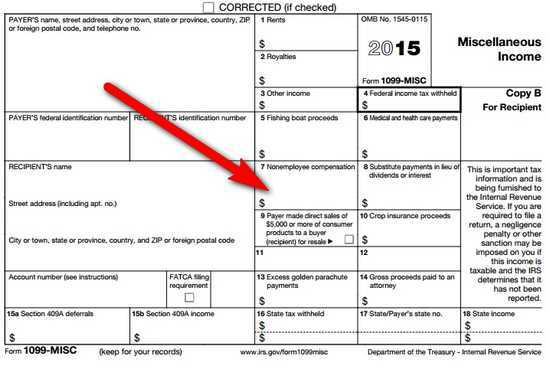 When you get the Form 5498, save it with the rest of your 2014 tax documentation. Of course, there are literally hundreds of other forms for various special situations. If you get income from a trust, there is a form for that. If you get income from land or mineral rights, there are forms for you as well. Once you have the main forms listed here, you can start working on your taxes. As you go along, you may notice that you need additional forms. Don’t hesitate to contact anyone who had not sent you required forms in a timely manner. Although you do not have to submit most of these forms when you file your taxes, the numbers are cross checked by computer when you file, so you need to ensure that the information matches.